When you’re buying a convertible, there is always some compromise that you will end up making but with Intel’s Kaby Lake-R processors, where dual-core processors have transformed into quad-core chips, the HP Spectre x360 15 has taken the opportunity to provide future buyers with the most powerful machine in its class right now. 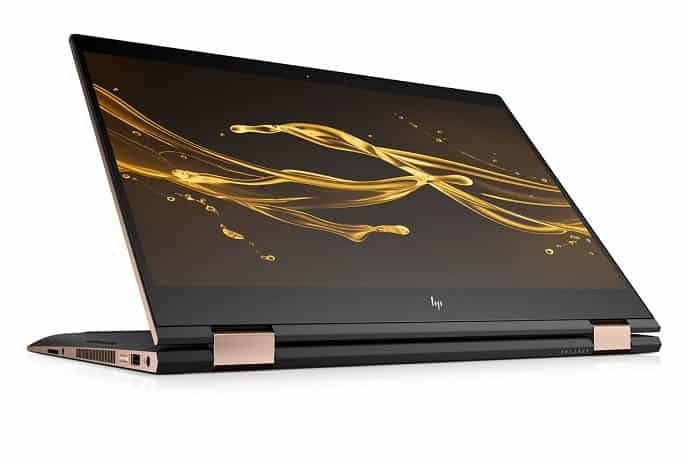 Normally, you cannot say that hybrids are powerful but the HP Spectre x360 15 is taking a different step, but it is going to be in the right direction. It features a 15.6-inch 4K touchscreen display, with the company saying that it is going to be targeted towards creative professionals and regular professionals. While the GPU is not powerful enough to play modern AAA gaming titles, there is one specific port that will allow you to get the most out of your gaming sessions. A Thunderbolt 3 will allow support for an eGPU, which when connected to the notebook/hybrid will allow you to connect a desktop graphics card. Battery life is also expected to be insane on this machine because the 84Wh battery according to HP can provide you up to 13.5 hours of life, but that will also depend on what you’ll be doing on this. We obviously cannot expect a cheap price tag if you look at the hardware below but pricing and availability will only be known starting March 2018.